Finding Ultra is an incredible but true account of achieving one of the most awe-inspiring midlife physical transformations ever On the night before he was to turn forty, Rich Roll experienced a chilling glimpse of his future. Nearly fifty pounds overweight and unable to climb the stairs without stopping, he could see where his current sedentary life was taking him--and he woke up. Plunging into a new routine that prioritized a plant-based lifestyle and daily training, Rich morphed--in a matter of mere months--from out of shape, mid-life couch potato to endurance machine. Finding Ultra recounts Rich's remarkable journey to the starting line of the elite Ultraman competition, which pits the world's fittest humans in a 320-mile ordeal of swimming, biking, and running. And following that test, Rich conquered an even greater one: the EPIC5--five Ironman-distance triathlons, each on a different Hawaiian island, all completed in less than a week. In the years since Finding Ultra was published, Rich has become one of the world's most recognized advocates of plant-based living. In this newly revised and updated edition, he shares the practices, tools, and techniques he uses for optimal performance, longevity, and wellness, including diet and nutrition protocols. Rich reflects on the steps he took to shift his mindset and leverage deep reservoirs of untapped potential to achieve success beyond his wildest imagination, urging each of us to embark on our own journey of self-discovery. "One of the best books about health and fitness I've ever read." - Neal Barnard, MD, president of the Physician's Committee for Responsible Medicine "Rich Roll's Finding Ultra is a testament to the power of the human spirit to overcome any obstacle, break down walls, and redefine what's possible." - John Brenkus, Creator and Host of ESPN's "Sport Science" and New York Times bestselling author of The Perfection Point "Finding Ultra is the ultimate story of hope, perseverance and endurance against life's biggest challenges." --William Cope Moyers, New York Times bestselling author of Broken: My Story of Addiction and Redemption "Roll has accomplished amazing things, but it is his ability to draw inspiring and uniquely insightful lessons from his experiences that sets him apart from other extreme athletes. 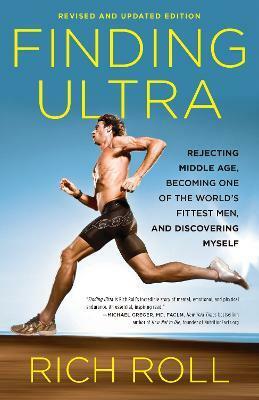 Finding Ultra is a fascinating read full of practical tips." "Finding Ultra is about a journey we all take as human beings, when we decide to pursue the impossible and live a life of mission. When I need to dig deeper, push harder, and find a little boost, Rich Roll is the guy who comes to mind. He is inspiration embodied." --Sanjay Gupta, M.D., Emmy Award-winning Chief Medical Correspondent for CNN and New York Times bestselling author of Chasing Life and Cheating Death "You walk away from reading this book knowing you have the total power to transform your life on every level...Roll is immensely likeable, a most compelling storyteller, and a true shaman of health and fitness!" --Kathy Freston, New York Times bestselling author of Quantum Wellness and Veganist "This awesome piece of writing - one-part memoir, one-part how-to, and one part megadose of gut truth - reminds us to wake up and live our best life. Prepare to be entertained, but most of all, prepare to be inspired." --Mel Stewart, 14-Time National Champion, former World Record Holder, and Winner of Two Olympic Gold Medals in swimming "I loved this. A rare book, unusual for its honesty and willingness to bare all, that really does deserve such superlatives as 'riveting' and 'compelling.' I was moved by watching Roll conquer his demons, and felt privileged to share in his eventual enlightenment. By laying it on the line, Roll absolutely wins us over." "An incredibly inspirational book about achieving greatness at any age through self-belief and a positive attitude. Rich Roll is a true champion of life and sport." --Levi Leipheimer, Two-Time Stage Winner of the Tour de France and Olympic Time-Trial Bronze Medalist "Finding Ultra is an inspired first-person account of fast living and even faster swimming, biking and running that will leave you convinced of the power of your own will." --Brendan Brazier, bestselling author of Thrive "A tribute to the fortitude of the human spirit, and the power each of us has to grab hold of our life and achieve the unexpected. For anyone who feels stuck, Rich offers sage advice on everything from relationships to lifestyle to diet to spiritual well-being." -Dave Zabriskie, Five-Time National Time-Trial Champion in cycling "An inspiring story of a man whose life took a tragic turn but then rebounded spectacularly. Down but not out, Rich Roll rose like a phoenix, taking the commitment to his own health to a new level and achieving a remarkable transformation. I believe everyone will be able to relate to this plant-powered athlete's riveting story and perhaps garner some inspiration for their own journey. A top read!"